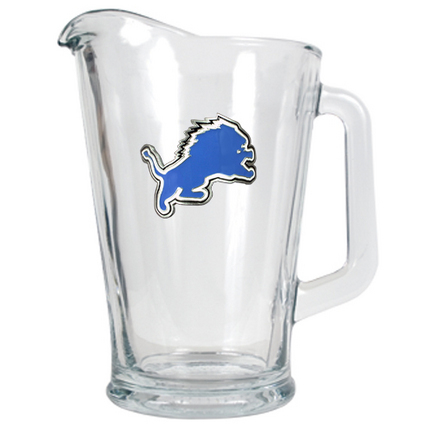 An officially NFL licensed 60oz glass pitcher decorated with a hand-crafted metal Detroit Lions logo. The perfect compliment to your bar or game room decor. 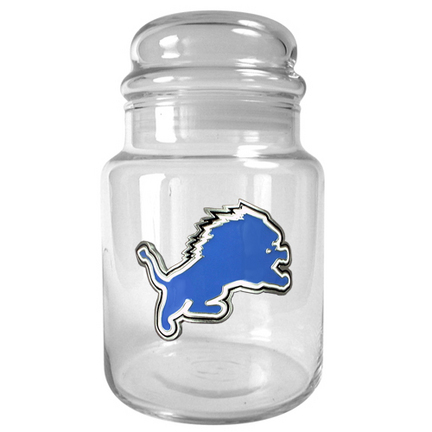 An Officially NFL Licensed Candy Jar decorated with a hand-crafted metal Detroit Lions logo. Just add candy and you'll have the perfect gift for the sports fan with a 'Sweet Tooth'. Brighten up those dark hallways or rooms with this team logo glass nightlight!